This statement is both a reminder of God's glorious grace and also of our need to share that grace with others. Life is such a precious gift, it would be a shame for anyone we know and love to miss out. God gave up the life of his Son so that in finding him, we too could share in his life. Father of all nations, resurrect in your people a desire to spread your grace to every language, tribe, nation, and people. Empower us with your Spirit so that we will speak the Gospel of Jesus with boldness and respect to a world who does not know him. 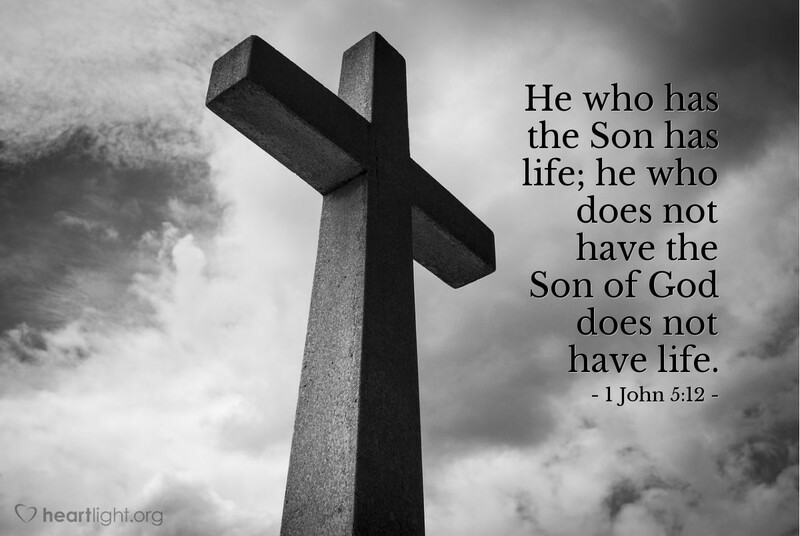 Use us to help others come to life in the Son! Through the name of Jesus your Son, we pray. Amen.